EAST PEORIA – Rev. 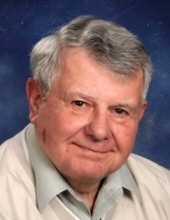 David L. Bultemeier, 84, of East Peoria died Friday, Feb. 1, 2019. David was born on Oct. 10, 1934, in Monmouth Illinois, to Hulin and Dorothy (Stevenson) Bultemeier. He married Joanne Sharon Bowker on June 17, 1956, in Peoria; she preceded him in death on Nov. 30, 2013. He is survived by his children, Kathy Rosser, Lori Bultemeier, and Michael Bultemeier; his grandchildren, Libby Ingraham, Lauren Lambert, and Drake Bultemeier; one great-grandchild, James Odin Ingraham; and one sister, Janet Lyons. Cremation rites have been accorded. Visitation will be held from 5pm to 7pm on Wednesday, Feb. 6, at Normal Calvary United Methodist Church, 1700 N. Towanda Ave., Normal, IL. A celebration of life service will be held on Thursday, Feb 7, 2019, at Normal Calvary beginning at 11:00am. David devoted his life to his loving wife, Joanne and his family. He spent his life in ministry to the Gospel of Jesus Christ as an Elder in United Methodist Churches throughout central Illinois. He never stopped preaching. David always gave glory to God for his calling and credit to Joanne for ministering with him. His faithfulness and leadership impacted countless lives in his churches, Walk to Emmaus, prison ministry, camping…. anywhere he was called to serve. If he wasn’t preaching, he was singing and playing the guitar, reading, or playing basketball. His legacy lives on through his family and friends. In lieu of flowers, memorial donations may be made to The Baby Fold’s Christian Life Fund or the Preacher’s Aid Society. "Email Address" would like to share the life celebration of David L. Bultemeier. Click on the "link" to go to share a favorite memory or leave a condolence message for the family.